Parties are always a place that attracts many people because it is a fun place and has many games that you can enjoy. Many indoor parties have board games or video games, outdoor meals; Pinata is quite a favorite. Especially at the most banquet meals, this game is even more appreciated. 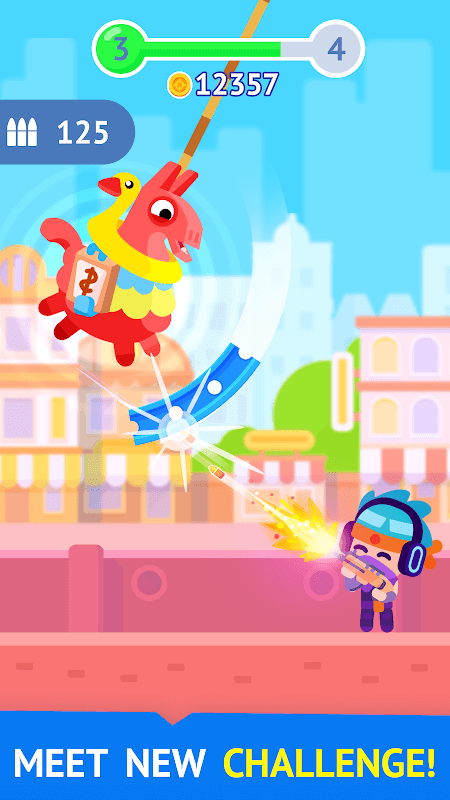 Pinatamasters is a game arcade designed and released by Playgendary, one of the most popular game publishers today. The game is a fun, exaggerated simulation, making it much more exciting and funny. For example, in the classic game played at parties, players will have to use sticks to hit a paper horse (including lots of candy and sweets). The gift is something that is prepared by the person who makes the game and the paper horse — children, and adults too, like this game very much. Pinatamasters does not force players to blindfold to play like a traditional game but challenge them differently. First, players do not use straight sticks but use different tools (the first basic is still sticks) to throw at a horse suspended high above. Each hit will cause its HP bar to drop by a bit, and many gold coins will fall across the screen. You just have to move continuously to the sides of the screen to pick up gold, but also to adjust the direction of the shot correctly. Because more and more lines will be blocked across the screen to make a temporary shield for the paper horse. If you hit the lines, the attack will be disabled. Because it is an arcade game, there will be fun features that keep players continually staying with the game. 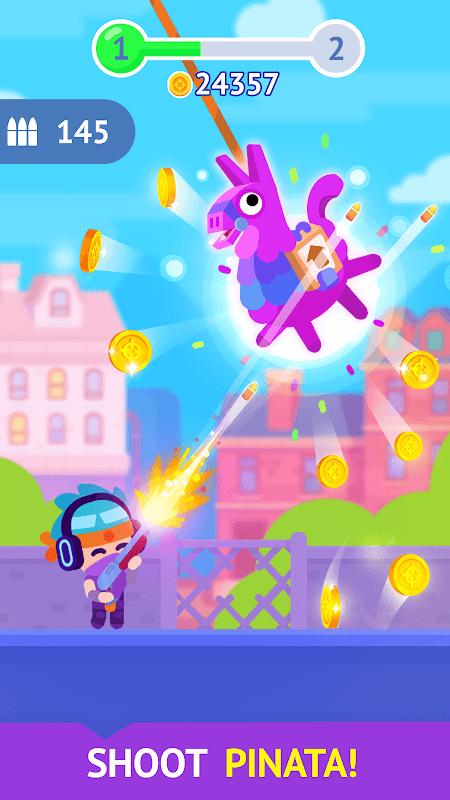 Pinatamasters will bring different “paper horses” with lots of colors. Each game screen will have different goals and not be forced to be a horse. Sometimes it will be a simple metal robot, monster or even Buddy. In general, they will gradually have more stamina and offer more challenges, not easily destroyed. What do players use for all the money you get from your winnings? Of course to upgrade my power. 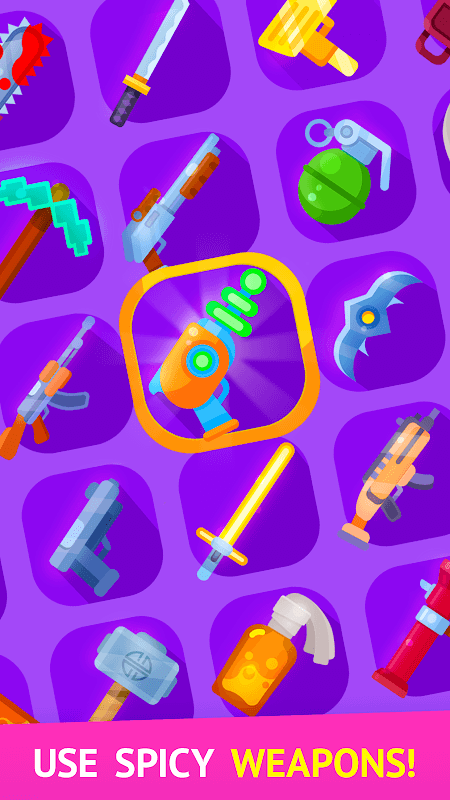 With new weapons, you will destroy enemies more quickly. Firstly, the stick can only make it drop a bit, but with a pickaxe, it is more effective. Besides, there are even more formidable weapons like guns or even missiles. The bigger and bigger the damage, the more gold coins are, the more fun will never end with you.